Be aware of the Dead Bears! 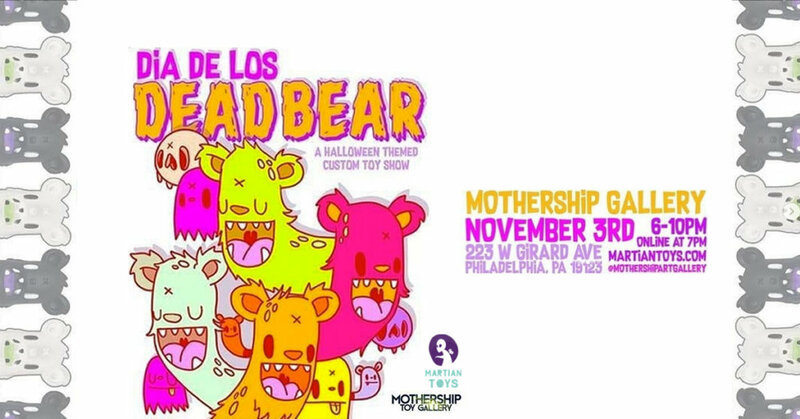 Dia de Los Dead Bear, a halloween themed custom toy show, is coming this weekend to Philadelphia. This is the first custom show on the Dead Bear platform designed by Nicky Davis and produced by Martian Toys. The show is opening this Saturday November 3rd at Mothership Art Gallery in Philadelphia from 6 – 10 pm and online at 7 pm. So many talented artists with incredible pieces are participating in this show. This is a show not to be missed! Go follow Martian Toys and Mothership Art Gallery for updates on the show.